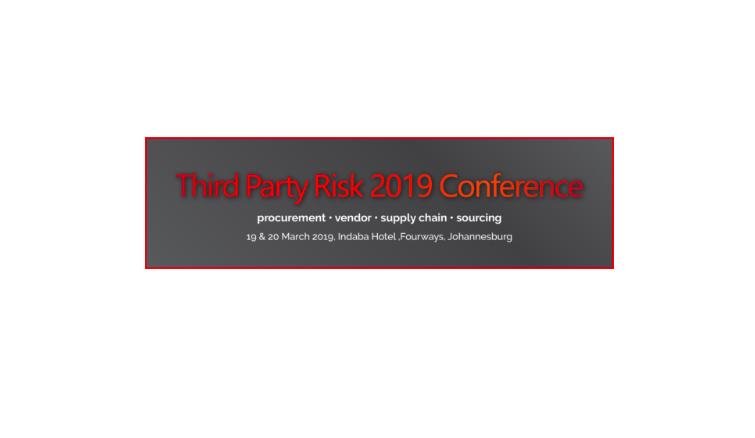 Mobius, in partnership with Phinity Risk Solutions, will be speaking at the first Third Party Risk Management Conference in South Africa. Join us at the conference to gain insights into managing third party risks in a changing regulatory environment, setting up a third party management framework, instituting due diligence practices and implementing third party risk management solutions. Third party relationships come with a host of inherent risks including reputational, strategic, regulatory and financial. Added to this is the extent to which organisations are required to share information with third parties, opening organisations up to a host of additional data and IT related risks. This conference will bring third party risk management role players together to discuss the challenges in third party risk, as well as how to overcome the hurdles in preparing organisations for ultimate best practices in managing third party risk. Who should attend ? All personnel dealing with third parties, managing third party risk, or anyone looking for solutions to minimise modern day risks of sharing data with third parties. The conference will take place on the 19 and 20 March 2019 at the Indaba Hotel, Fourways.